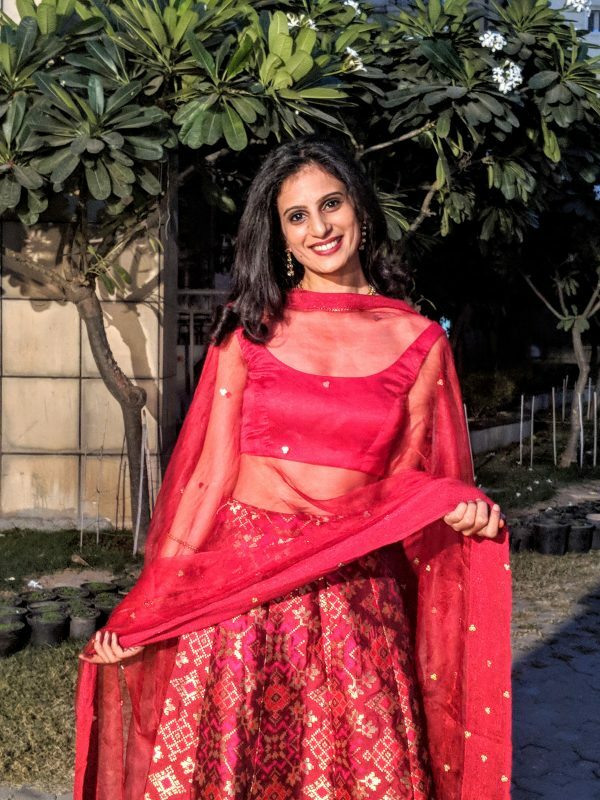 Last year I wrote an article on how to stay fit amidst the indiscipline and fatty yummy food of our Indian festivals – especially round Diwali. This year – I say – Go all out and connect with the vibes of family, food and all the fun ( that is so short lived). Because I can’t imagine my life without festivals and life is too short to be cautious, careful and thinking about our diet and fitness all the time. What say???? Your round-the-year discipline has earned you a body that you can feel good about in outfits you really want to wear. Dress up to impress or feel good. Take your pick. Take some time off, dab some make up, adorn some jewelry, go get some retail therapy – it’s a beautiful feeling to do such things. There is enough out there for every Indian woman and man to pamper the body. Don’t shy away- give yourself that mental lift through physical pampering! Every year around this time, I pick up the dandiya sticks and become a part of the ladies dancing group in my condominium. It’s just a beautiful way to connect with people new and old. We practice every evening 2 weeks before the event and it brings a very happy connect to dance to the latest garba/ dandiya tunes that Bollywood has to offer. So yeh…skip that Yoga session, or that early morning run and just go dance with your friends in a traditional way or just anyway you like. Combine your love for fitness and dancing and you won’t feel you are out of shape ! We all know the connect we Indians have with our festive food. I am an Indian sweets fan – from Ras Malai to Kala Jamun to Kaju Katli – I want it all. From kebabs to Biryani to non-vegetarian delicacies – I don’t miss out on the food at any get together. A naturally small portion eater that I am, all this works in my favor. But I’ll still urge you to indulge. Why ? Indulge – Some flavors are truly festive. The indulgences are as short lived as the festivities themselves. This has been my mantra this festive season. We need to park our insecurities, our fears and inhibitions very far away and walk that long distance to bring the connect to celebrate. For a few days – we really should let go and celebrate the love in the festive air in whatever way it brings you a sense of joy. There is nothing like giving to the needy during festivals (and of course all year round ). But festivities bring out the generosity streak even brighter and you could add some light to many people’s lives who truly need it. Keep your car stocked with some Indian sweet boxes, some clothes – there are so many street kids who would love the gesture while on traffic lights. You could also contact NGOs and structurally give away what they need. But hey – remember to go all out here too. Thinking what new did I say in this blog ??? Well I reminded you why festivals are a great reason to bring in the connect with our people in our lives, a great way to meet new and old people, celebrate and intentionally bring in a sense of joy in our lives. I reminded you to let go of the fitness obsession once in a while for the people you care for and give them your time. But I’ll let Tom Hodgkinson say what I feel about festivals and why they are so good for us..
Festivals are fun for kids, fun for parents and offer a welcome break from the stresses of the nuclear family. The sheer quantities of people make life easier: loads of adults for the adults to talk to and loads of kids for the kids to play with ! Diwali is on its way – have a wonderful time, indulge, stay up the beautifully lit nights and lap up the revelry the way you like! Die Another Day ! For now – Let’s dress up and dance !!! Check out the happiness on my dandiya girls group faces – You would surely perk up!!! Beautiful article. True we are so fitness obsessed that we sometimes miss out all the fun. Thanks for writing in Reema! Nice article keep up the good work cheers. Moreover without all the delicacies these festivals wont be what they are.